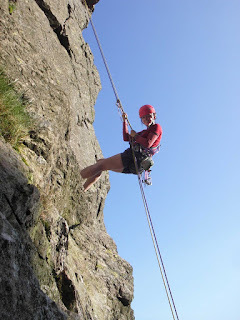 Gimmer Crag in the Lakes has many superb climbs and so it was an excellent place, on a warm summers day, to introduce Nik and Carolyn to multi pitch climbing. 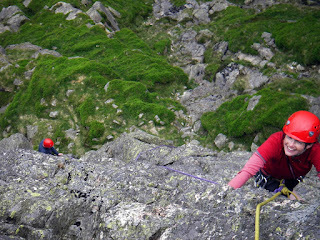 We climbed 3 routes including; Main Wall (VD) and Ash Tree Slabs (VD+, in Clasic Rock) before abseiling down off the ledge. 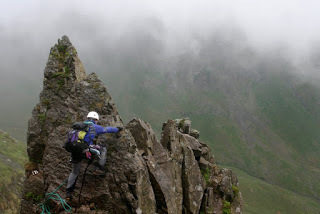 Then it was a walk down the hill to a well earn't pint in the climbers bar at the Old Dungeon Ghyll hotel.